This sparkling full-sized 35mm. 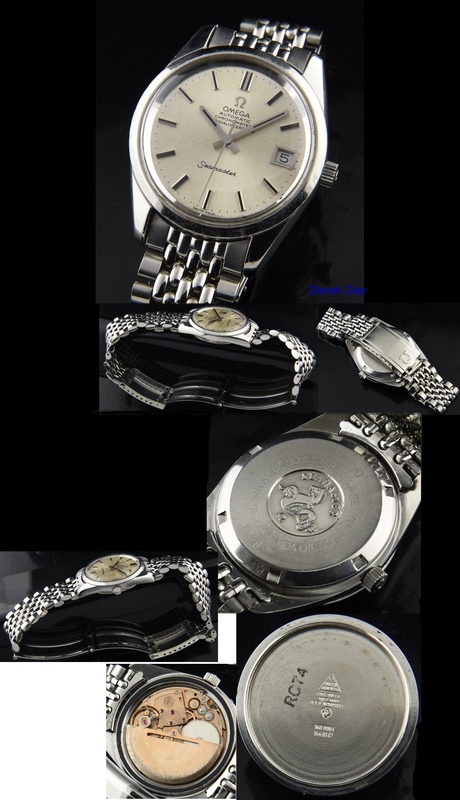 OMEGA SEAMASTER CHRONOMETER dates to 1974 and retains is original stainless steel OMEGA rice bracelet which will fit up to an 8 inch wrist. 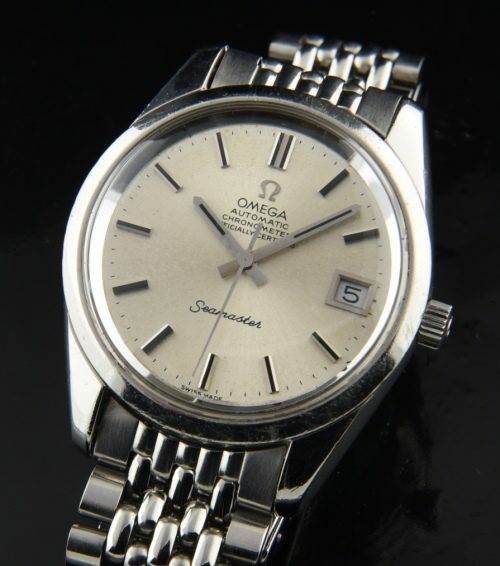 The correct OMEGA signed winding crown and expensive OMEGA signed hesalite crystal are both present. The steel case displays excellent overall condition and is without any major dings or scratches. There is a nostalgic inscription on the case rear. The original silver dial has lightly aged-looking great. The baton hands and matching markers have black inset-adding further interest. The chronometer movement in a SEAMASTER is what makes this watch special. Normally, you would find the CHRONOMETER grade movement in the Constellation line only and it is MUCH less common to see it in a SEAMASTER. Notice the 4 line printing on the dial. The caliber 1011 chronometer grade movement was recently cleaned and is accurate. This watch offers high quality manufacture at an amazing price.